Anyone who has spent any time browsing the shelves in the film section of their local book shop will be very familiar with the name Howard Hughes. With a plethora of titles on genre cinema ranging from Westerns to Crime, Horror and War films emanating from his pen, Hughes’ output is prolific and varied but he has made a particular contribution in the area of Italian genre films from the 60s and 70s. It is not surprising then that the Spaghetti Western is close to his heart and features prominently in his work. Once Upon a Time in the Italian West and The Kamera Guide to Spaghetti Westerns are excellent introductions to the filone while his wider study of Italy’s golden cinematic age, Cinema Italiano: The Complete Guide From Classic to Cult also features a significant section on the Italian version of the American frontier. Add to this his regular contributions to Cinema Retro magazine and DVD release liner notes and it is safe to say most of us have some of Howard’s work in our collections. It seemed only fitting then, and long overdue, that Howard should succumb to the tradition of our site and submit his very own Top 20 for the rest of us to peruse. As always there are some predictable and some not so predictable choices and Howard has been kind enough to include a note on each film to give us an idea as to what he values in each film as well as an ‘Alternative 20’ of titles which narrowly missed the cut but which he rates highly. Our thanks go out to Howard for taking the time to share his picks with us and wish him well with his latest release, his first e-book. Mario Bava: Destination Terror is a guide to the great director’s films (including the westerns The Road to Fort Alamo, Savage Gringo and Roy Colt & Winchester Jack) and is available through Amazon. Read more about it at the Filmgoers’ Guide Blog. Sergio Leone’s third western succeeds in being intimate and epic, entertaining and artful, partly thanks to Ennio Morricone’s magnificent score and partly to Tonino Delli Colli’s equally magnificent cinematography. Drifters Clint Eastwood, Lee Van Cleef and Eli Wallach, like circling vultures, vie for a stolen Confederate payroll during the American Civil War. Watch the 156-minute version, not the extended ‘special edition’. Along with Jean-Luc Godard’s Contempt/Le Mépris (1963), this is my all-time favourite film. DJANGO, Sergio Corbucci (1966) Sergio Corbucci’s rough-edged reworking of A Fistful of Dollars, this is the blackly comic spaghetti western that made Franco Nero a star. Vengeful vagabond Django, packing pistol and machine gun, levels red-hooded Klansmen and Mexican ‘revolutionaries’ over a hoard of stolen gold. Great theme song from Luis Enriquez Bacalov, sung by Roberto Fia. Like The Good, the Bad and the Ugly, this one ends with a showdown in a graveyard. 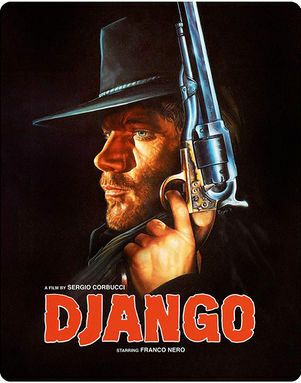 Try and see it in Italian: Django’s famous ‘I’ve got all the help I need’ (in reference to his coffin and machine gun) was originally the much better ‘Io non sono solo’ (‘I am not alone’). FOR A FEW DOLLARS MORE, Sergio Leone (1965) Not Leone’s best film, but the best and most influential example of a ‘spaghetti western’. 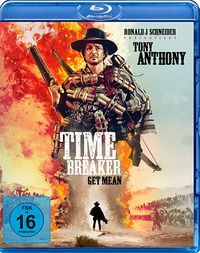 Prior to deploying the epic backdrop of the Civil War, Leone concentrated on the amity-antagonism between Eastwood and Van Cleef, as rival bounty hunters after Gian Maria Volonté’s ‘Wanted’ bandido, El Indio. Morricone’s music is atmospherically apt and one of his finest scores. Van Cleef steals this from Eastwood, in their first spaghetti western teaming (they had previously worked together on two episodes of the TV show Rawhide). 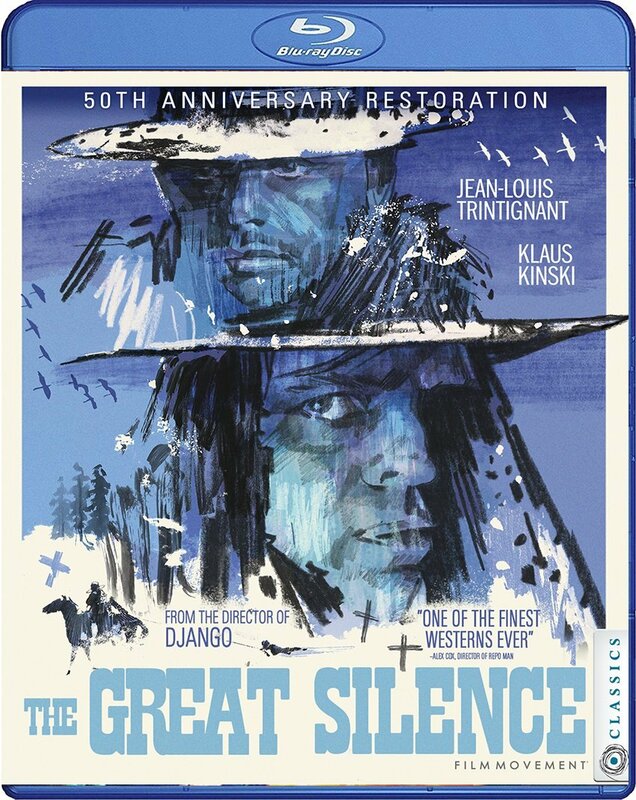 THE GREAT SILENCE, Sergio Corbucci (1968) Corbucci’s snowy western (shot partly near the ski resort Cortina D’Ampezzo), this delivers knock-out drama, yet remains close to its action movie roots. Corbucci deploys an ethereal Morricone score, Vonetta McGee in her film debut and Klaus Kinski at his most villainous. Leone actors Luigi Pistilli and Mario Brega appear in support. Jean-Louis Trintignant is the mute gun for hire, who lets his Mauser machine pistol do the talking. UK TV showings, titled The Big Silence, are slightly cut, which actually improves the film. For English speakers, this is another spaghetti that’s worth viewing in Italian, with English subtitles. THE BIG GUNDOWN, Sergio Sollima (1966) Lee Van Cleef plays the lawman on Mexican peon Tomas Milian’s trail in Sergio Sollima’s superb cat-and-rat chase western. 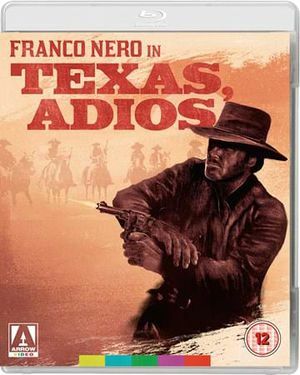 One of the great spaghetti westerns that for many years has been difficult to see in its full version, it seems to be receiving the plaudits now we all knew it was due. Morricone was again on music duties and Christy sings the theme song, ‘Run Man Run’, which was also the title of Sollima’s sequel, with Milian reprising his role as knife thrower Cuchillo Sanchez. See the 105-minute version of Gundown, not the two shorter variants (95 and 85 minutes). NAVAJO JOE, Sergio Corbucci (1966) A film its star Burt Reynolds mocks, this Corbucci western is one of his best. It’s given a considerable lift by its tribal Morricone score, featuring haunting vocal work by Gianna Spagnolo. Reynolds is a strong lead as the revenge-seeking Joe and Aldo Sambrell is his formidable, racist foe, who is after Joe’s scalp. Nicoletta Machiavelli looks beautiful, as does Spain. There are some stunning landscapes in this film, including the impressive cliffs and mesas at Rambla de los Bancos at Fonelas, a Spanish ‘Utah’. THE MERCENARY, Sergio Corbucci (1968) Also called A Professional Gun, this is my favourite ‘political’ spaghetti western. 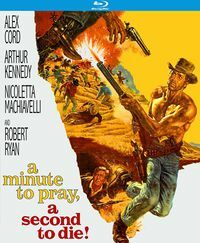 Corbucci strikes the right balance between humour and violence, in this, his most Leone-like film. The Good, the Bad and the Ugly is reworked by screenwriter Luciano Vincenzoni to pit a mercenary (Franco Nero), a mineworker-bandit-budding revolutionary (Tony Musante) and another mercenary (Jack Palance) against each other during the Mexican Revolution. The treasure hunt for a cache of wealth – mined silver – is simply the MacGuffin to kick-start one of the most entertaining spaghetti westerns of all, which also became Corbucci’s most successful western internationally. THE HILLS RUN RED, Carlo Lizzani (1966) Fans are divided on the merits of Carlo Lizzani’s most Hollywood-like spaghetti western. Its atmosphere and plotting reminds me of 1950s B-western revengers and the presence of actors Henry Silva and Dan Duryea reinforces this. With the exception of the cowboy ballad ‘Home to My Love’, Morricone’s music is 100% spaghetti western, with more haunting vocals from Gianna Spagnolo. Thomas Hunter shows great promise (which he failed to fulfil) as the heroic lead and Silva is a madcap villain. 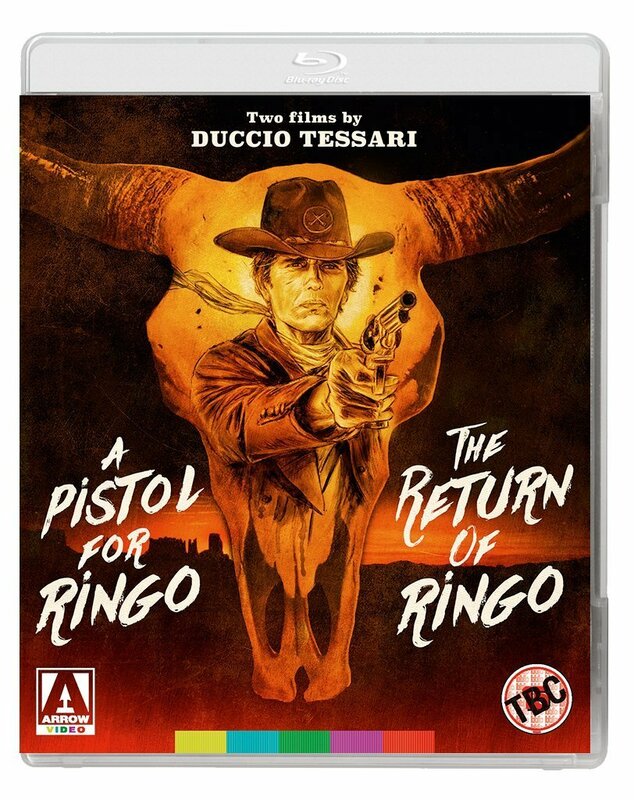 A PISTOL FOR RINGO , RETURN OF RINGO, Duccio Tessari (1965) I know two-for-one’s a cheat, and these two films are linked only by title, cast and crew, but I think of them very much as two sides of the same coin. First there was A Pistol for Ringo, Duccio Tessari’s bottled-up siege scenario, played for laughs and tension in equal measure, with Giuliano Gemma as a grinning, happy-go-lucky pistolero. On the flipside, The Return of Ringo, Tessari’s take on Homer’s The Odyssey, via Howard Hawks’ Rio Bravo. Set in the New Mexico border town of Mimbres, Gemma stars as a Union soldier, back from the Civil War, trying to save his wife and daughter from invading bandits. Both films feature Nieves Navarro, Fernando Sancho, George Martin, Antonio Casas and Tessari’s future wife, Lorella De Luca. SABATA, (1969) Gianfranco Parolini had already focused on mysterious western heroes and their gadgety weaponry in the interesting If You Meet Sartana Pray for Your Death (1968). With backing from top Italian producer Alberto Grimaldi, Parolini cast Lee Van Cleef as the hero, which enabled the actor to revisit his elegant bounty hunter Colonel Mortimer from For a Few Dollars More, now rebooted as a James-Bond-of-the-west gadgeteer. Drifter William Berger shoots people with his banjo, acrobats rob a bank with a seesaw, and the film’s success ensured two official sequels: Adios Sabata (with Yul Brynner) and Return of Sabata (with Van Cleef). THEY CALL ME TRINTY, Enzo Barboni (1970) My nominee for the best comedy spaghetti western. The humour’s a matter of personal taste, but director Enzo Barboni knows his subject: he’d cut his teeth as cinematographer on Django, The Five Man Army, The Hellbenders and other westerns. Terence Hill and Bud Spencer make a great comic team as half-brothers Trinity and Bambino. This one’s a parody of The Magnificent Seven, with a Mormon settlement being menaced by landgrabbers and bandits. The pair reunited with Barboni for the loose sequel, Trinity is Still My Name (1971), where they uncover a gunrunning scam operating from a mission. 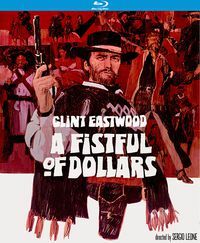 A FISTFUL OF DOLLARS, Sergio Leone (1964) Leone’s first western is the least of the ‘Dollars’ trilogy, but only because the two films that followed it were so good. Fistful is still superb and the film that made westerns a sturdy and viable undertaking for Italian and Spanish filmmakers. This film really did redefine what a western could be. The music, the Spanish landscape, Leone’s eye for style and violence, and Clint Eastwood’s hero are all totally original. The story, lifted virtually unchanged from Yojimbo (1961), was not. MY NAME IS NOBODY, Sergio Leone/Tonino Valerii (1973) Tonino Valerii’s last spaghetti western had Terence Hill reprise his Trinity character, as a hero-worshipping gunslinger besotted with old legend Henry Fonda (who had been Leone’s first choice as the hero in A Fistful of Dollars). This tragicomic, elegiac ‘end-of-the-west’ western is flawed, but 90% brilliant – an affectionate ode to the dying Wild West and westerns. 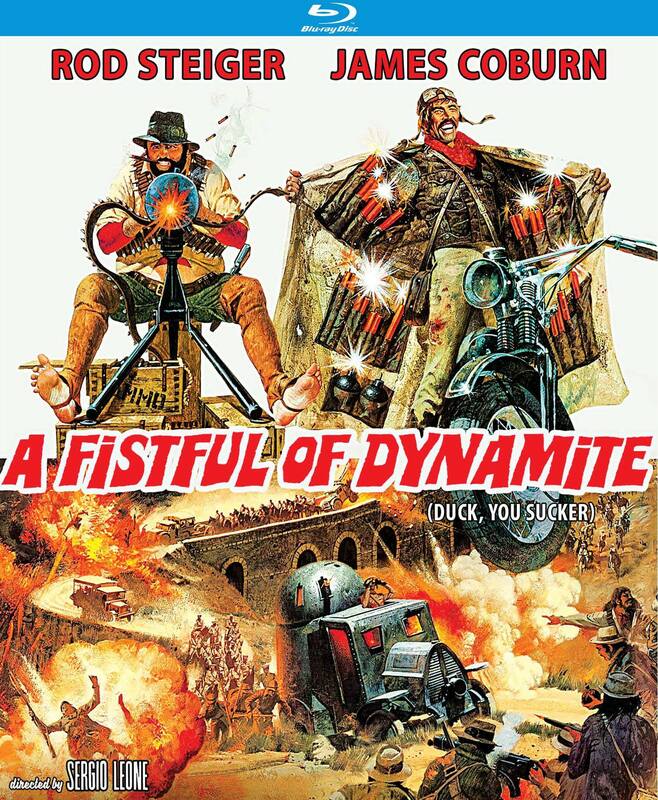 With in-jokes referencing The Wild Bunch and Sam Peckinpah, this movie was way ahead of its time. Shame about some of the slapstick. FACE TO FACE, Sergio Sollima (1967) Some rate this above Sollima’s The Big Gundown. There’s less action, but more plot, characterisation and food for thought – and a thumping Morricone theme tune. Gian Maria Volonté is a revelation as the Boston professor of history, while feral outlaw Tomas Milian and vulpine Pinkerton agent William Berger are worthy, cagy adversaries. There’s a strong female cast presence too, including Lydia Alfonsi, Carole André and Jolanda Modio. Watch the 107 minute uncut version. Like Django, this one plays very well in spoken Italian with English subtitles. DAY OF ANGER, Tonino Valerii (1967) Tonino Valerii’s second western has the huge advantage of uniting two of the biggest stars of the genre – Lee Van Cleef and Giuliano Gemma – at the peak of their western popularity. After God Forgives…I Don’t, this was the biggest film in Italy in 1967. It’s the ‘master gunfighter’ and ‘young protégé’ story, with Van Cleef as the old sage, which would reappear in many of the actor’s later westerns. Mostly set in the town of Clifton City – and shot on the western backlot at Cinecittà Studios – the story takes some brief but memorable excursions into the badlands of Almeria for location work. DEATH RIDES A HORSE, Giulio Petroni (1967) A great revenge spaghetti western from Giulio Petroni, this remixes themes, plot and characters from For a Few Dollars More. Morricone again scored the film, and Van Cleef, Luigi Pistilli and Mario Brega all reappeared from For a Few. John Phillip Law plays the young gunman who is tracking the gang who murdered his folks. Van Cleef is their killers’ former partner, recently released from jail, who also has a score to settle. Anthony Dawson, from Dial M for Murder and Dr No, has a good guest spot as one of the culprits with an unusual tattoo. DJANGO KILL, IF YOU LIVE, SHOOT!, Giulio Questi (1967) Giulio Questi’s offbeat take on the warring gangs and stolen gold from A Fistful of Dollars (it even uses the same western town set at Hoyo De Manzanares near Madrid) divides opinion. I love the 94-minute version of this film (the old UK Fletcher Video release), but find the uncut DVD version (at 115 mins) overlong. I mentioned this to William Connolly of ‘Spaghetti Cinema’ and he thought it sacrilege to edit the film – of course he first saw the uncut Italian version and it’s often the case that the first version of a film you see remains your favourite, even in the light of further abridged (or uncut) releases. A BULLET FOR THE GENERAL, Damiano Damiani (1966) Damiano Damiani’s excellent political spaghetti western reunites Kinski and Volonté from For a Few Dollars More, in very different fare. Volonté’s the bandit running guns to Mexican rebel General Elias; Kinski is his half-brother, a revolutionary-priest. Lou Castel is an American agent, working for the Mexican government, who infiltrates Volonté’s band to carry out an assassination. Spectacularly filmed in the deserts, sierras and towns of Almeria and Granada, this has a great Mexican-flavoured Bacalov score. THE HELLBENDERS, Sergio Corbucci (1967) Corbucci’s Reconstruction Era ‘trek’ western has a group of Confederates from the (fictitious) title regiment transporting a shipment of stolen Union cash back home, to rekindle the American Civil War. Joseph Cotten, in the second of his three spaghettis, is excellent as the deluded Southern patriarch leading his rabble without a cause, and Morricone’s ‘Death of the South’ bugle themes (played by Nunzio Rotondo) are the ideal accompaniment to their desert odyssey. That hearse carrying the coffin full of cash can also be seen in the desert as an ambulance in The Good, the Bad and the Ugly. CEMETERY WITHOUT CROSSES, Robert Hossein (1968) This French-Italian co-production (also called A Rope, A Colt) is brilliantly staged by director-writer-star Robert Hossein. He plays left-handed gunman Manuel, hired by Michele Mercier to kill her husband’s murderers. The costuming and Almerian settings are very reminiscent of Leone’s westerns and it is to Hossein’s friend Leone that the film is dedicated. The catchy theme song ‘A Rope and Colt’ is composed by Hossein’s brother André and sung by Scott Walker of The Walker Brothers fame. Hossein was also Leone’s first choice as railroad magnet Morton, in Once Upon a Time in the West, but had to pass due to prior commitments. This page was last modified on 8 August 2016, at 08:31.